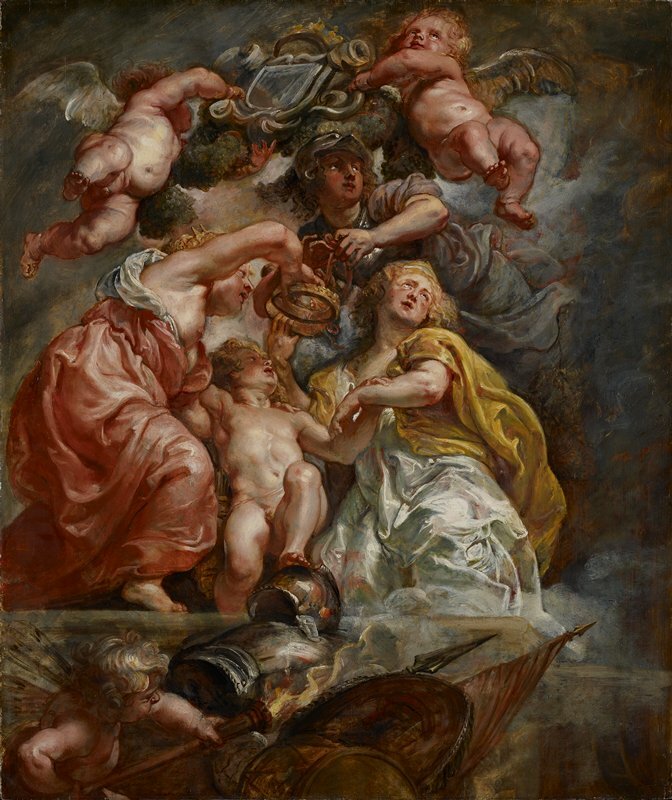 King Charles I of England (reigned 1625–49) commissioned Rubens to decorate the ceiling of the Banqueting House of Whitehall Palace, in London. The vast canvases celebrate the Stuart monarchy and the reign of Charles’s father, King James VI of Scotland, who became James I of England and Ireland in 1603, succeeding Queen Elizabeth I. This oil sketch represents Charles as a child, a young prince embodying the union. Crowning him are three women: personifications of England (in red) and Scotland (in yellow) and the Roman goddess of wisdom and war, Minerva. Above them, two cherubs hold the royal coat of arms. Should ultra-thin models be illegal?